As more people continue to develop complex chronic conditions and a larger population requires more comprehensive, costly care, providers are looking for innovative solutions that can serve more patients more efficiently – all at a lower cost. Here, remote patient monitoring (RPM) presents an opportunity: by leveraging patient-generated health data (PGHD) collected outside the doctor’s office and shared with care teams in near-real time, providers can gain deeper insights into patient health and proactively make care decisions to improve outcomes – and as a result, these programs can lower costs for patients and providers alike. As the shift to value-based care begins to support more reimbursement for remote care and telehealth solutions, providers will be able to see continued financial incentives for the use of such programs to support patient health and help populations manage their conditions. 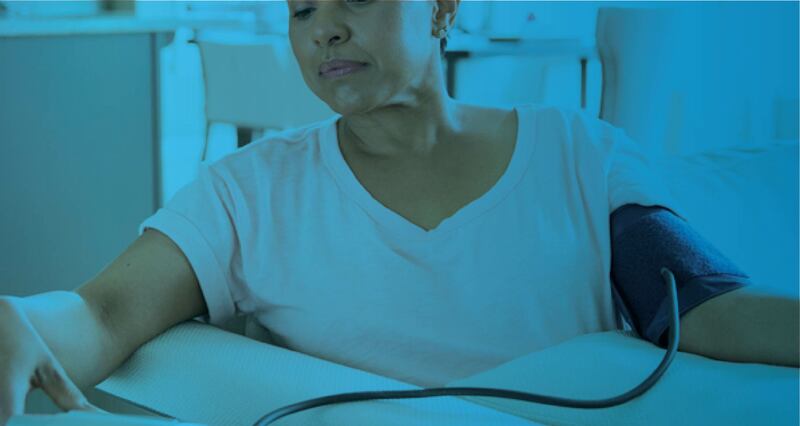 When patients participate in remote monitoring programs, they receive more comprehensive, timely care that can more regularly encourage positive behavior trends and proactive interventions – which can result in the prevention of an acute health event or subsequent readmission. Patients that are more engaged can be actively involved in actively managing their health, and providers can identify negative trends and intervene before health worsens. Through remote monitoring programs, patients and providers can see cost savings in the form of reduced hospital readmissions, in-person visits, nurse engagements, and emergency department visits. Hospitals are also seeing additional cost savings from a reduction in the financial penalties which result from readmissions within 30 days of discharge. Improving health outcomes with early intervention, chronic care management, and increased patient engagement can be critical to success, and effectiveness can be achieved when remote monitoring is scaled beyond disparate pilots and used to manage health outcomes proactively. At a time when care continues to become more expensive and hospitals are routinely expected to cut costs while improving care, these financial savings can be critical. Brockton Hospital in Massachusetts began using a remote care program to follow a monthly census of 25 to 30 Congestive Heart Failure (CHF) patients. These patients were problematic because of multiple 30-day readmissions and excessive use of emergency department resources. With the national average for heart failure patient readmissions within 30 days of discharge at about 25%, it’s an enormous cost to the health system. Brockton Hospital hoped that by reducing its 30-day readmission rates to the 15 to 20% range, the organization could avoid penalties and implement a reasonable cost structure for shared risk contracts with insurers. The reduction meant that no more than eight patients could be readmitted. The outcomes vastly exceeded the goals. Readmissions were reduced to zero, with no patients enrolled in the study readmitted to the hospital. Zero readmissions represented a significant decrease in total medical expenses across the board, considering that the average cost of one readmission within 30 days of an initial hospitalization is $27,000 per patient. Brockton achieved a cost avoidance savings of $216,000. As the industry continues to shift toward value-based care, new payment models and reimbursement opportunities are becoming available that encourage the use of RPM services in order to provide more high-value care to patients with chronic conditions as a way to improve health and lower costs. The Centers for Medicare and Medicaid Services have made significant movement in this area, including the recent unbundling of CPT code 99091, which allows physicians to be separately reimbursed for RPM services under the 2018 Physician Fee Schedule Final Rule. In addition, CMS created two payment structures to support remote monitoring in the Medicare Access and CHIP Reauthorization Act of 2015 (MACRA). Within the Merit-Based Incentive Payment System (MIPS), providers can now be reimbursed for their use of RPM technology to engage patients. And, for providers using advanced Alternative Payment Models (APMs), practices are able to earn more rewards in exchange for taking on a greater amount of risk related to patient outcomes. As the industry continues in its shifts to value-based care, more reimbursement opportunities will arise which support the wider use of RPM and PGHD to engage patients and offer more comprehensive, effective care. To learn more about the existing and developing financial returns on investment for providers with remote care initiatives, read the latest report from Validic and the eHealth Initiative.